Welcome to the 3rd part of my AngularJS Tutorial. In this part we’ll learn about jqLite, editing HTML element text, css, attributes, and classes. We’ll append, prepend, remove and replace HTML elements. We’ll also create custom directives in multiple ways and will learn about transclusion. 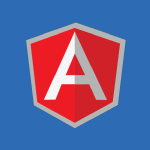 If you missed the other parts watch them first here AngularJS Tutorial 1 and AngularJS Tutorial 2. The code follows the video below. If you like videos like this please consider supporting me on Patreon. $1 is greatly appreciated. // directive and the data in the scope. // it is easy to figure out where the directive was applied. // original content and add in the new.